Sofia Amara*, a native of Casablanca, journalist, international reporter, producer and essayist, is a recognised Middle East specialist. Based in Beirut, she has, over the past twenty years, tirelessly travelled the length and breadth of the region, from Tunis to Bahrain, Cairo to Syria, Baghdad to Doha, reporting on every key event within the Arab world. She was the first female journalist to enter Mosul with the Iraqi army when it was liberated as well as covering the Arab Spring in Egypt. Despite the risks, she has produced a number of reports and films about Syria and the war raging there since 2011. We owe a huge debt to Sofia Amara’s brand of meticulous investigative journalism in exposing and denouncing the crimes of Daesh, those of Bashar al-Assad’s regime and of Islamist militias and in raising public awareness and understanding around the entire world about these issues. 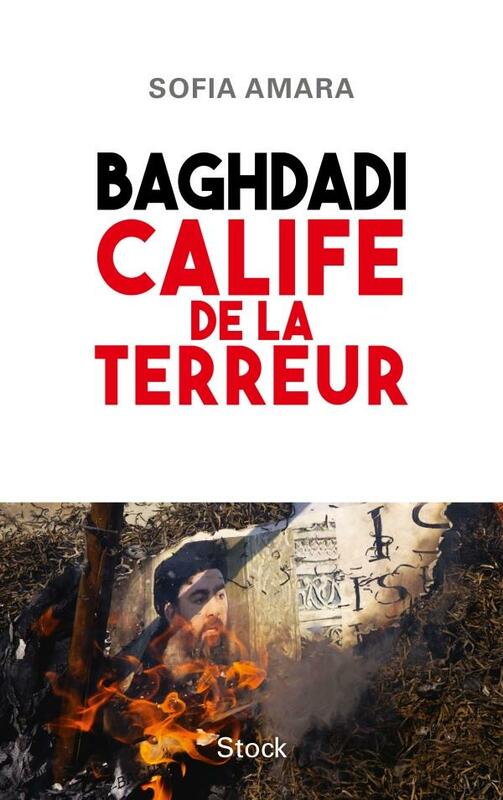 She has just written an authoritative book on Daesh’s founder, entitled ‘Baghdadi, the Caliph of Terror, published last October by Stock, a French publisher, which explains Daesh’s origins and the personal story of its chief executioner, Aboubakr Baghdadi. On visiting Casablanca last December to present this must-read book, she was kind enough to answer, in an all-encompassing and forthright interview, questions put to her by La Nouvelle Tribune. As it stands, a section of the international press and public opinion considers that the war in Syria is over and that Bashar al-Assad, with his Russian and Iranian allies, is the big winner. It would seem that only a few pockets of Daesh resistance remain in northern Syria. What is your opinion? Do you think that we have now returned to a pre-2011 Syria? Bashar al-Assad cannot be the big winner because he is not the main player in this conflict! The fact that he has been able to win back a large part of Syrian territory is down to the help and military support from his two allies, Iran and, in particular, Russia. But this has come at a price, a loss of both independence and freedom of choice. But he not been able to engineer a return to the situation as it was before, far from it. Syria is playing host to not only the Russians and the Iranians but also the Turks and the Americans, without forgetting of course the Kurds, ‘boosted’ by their military victories. Every type of militia and thirty-four factions of the Free Syrian Army still have a presence there. We also shouldn’t forget about the human cost of this conflict which will likely see Bashar brought before the International Court of Justice at some point in the future. We will never return to a pre-2011 Syria after this monstrous chapter in Syria’s history, which Bashar imposed on his country and his people. Syria has been completely destroyed, millions of citizens are now exiled, foreign forces, both friendly and enemy, are encamped on its soil and the civil war has above all caused considerable damage to Syrian society. And how can he regard himself or claim to be the winner when a large section of the international community considers him to be a war criminal? But can’t the virtual disappearance of Daesh as a State that was partially established on Syrian territory and which, more or less, was the main adversary, be considered a victory for Bashar al-Assad’s regime? Absolutely not! Of course, that’s Assad’s theory and he desperately wants public opinion to believe it. But it’s wrong. The Damascus regime’s main opponent is the Syrian Democrats, whom he threw into jail, tortured or killed in their hundreds of thousands while, at the same time, freeing jihadists from his jails in order to discredit the peaceful revolt of 2011. Daesh was not the Syrian regime’s adversary but its instrument, its ally, for pragmatic reasons. The terrorist organisation was neutralised when it no longer served any purpose, rather than the other way around. But where are these Syrian Democrats? Can they be regarded as a credible alternative to the current Syrian regime? They are everywhere, in Scandinavian countries, in France, in Canada, in Lebanon … They are fighting for a democratic Syria and they will surely end up getting one someday. For them, the enemy is both Bashar and Daesh. They had to fight two enemies at the same time. With the emergence of the second, Daesh, there was no room left for the alternative that they intended to establish. Bashar al-Assad’s bet was “either me or chaos”! And he generated this chaos, in the ruins of which all contradictory voices were buried. Assad is not of course Daesh’s only ‘sponsor’. This organisation’s precursor was established on Iraqi soil in 2006 following the US invasion of Iraq and the collapse of Saddam Hussein’s regime three years earlier. But Bashar al-Assad’s strategy, to confront the challenge posed by his own people, was to stir up this jihadi monster. On that basis, do you think that the United States is partially responsible for triggering the civil war in Syria itself? No. It is worth remembering that this civil war only broke out after months of bloody repression by the Syrian regime of what had been a peaceful revolt. The Americans are neither responsible for this protest movement nor for the fact that it degenerated into a fratricidal conflict. In 2001, the United States did not have a go at its Saudi ally despite the fact that the majority of the 9/11 terrorists were Saudi citizens. Instead, they preferred to attack bin Laden’s Afghanistan before invading Iraq in 2003 on the false pretext that Iraq possessed weapons of mass destruction. The invasion placed an avenging Shia power as head of the country and saw the Iraqi army dismantled, consequently replaced by unlawful militias. During the occupation, the worst possible abuses were committed by American troops as well as by Iraq’s new masters. These included arbitrary arrests, humiliating acts, acts of torture, assassinations … as revealed in the various testimonies on the conditions of internment in Abu Ghraib prison. America’s primary responsibility lies in the fact that it fostered an environment that was conducive for the Islamic State of Iraq, Daesh’s ancestor, to emerge. It was Bashar al-Assad, in particular, who subsequently took up the cause, fuelling the war in Iraq. Not out of friendship for the Iraqis or Arab nationalism but out of pure calculation. The Syrian regime thus recruited, trained and armed jihadists on its soil, before injecting them into the Iraqi quagmire. At the time, Bashar al-Assad’s calculation was simple – he needed to complicate the task faced by the American occupier in Iraq, so as to dissuade it from attacking Syria. Bloody jihadist attacks, which saw US soldiers killed as well as hundreds of civilians in Iraq, were planned in Syria under Syrian leadership. This policy ended when Bashar al-Assad was obliged, under pressure from Washington and, in particular, the then Secretary of State, Colin Powell, to jail jihadists returning to Syria, after being driven out of Iraq by the latter’s Sunni Iraqi, supported by the US military. These jihadists were detained in the infamous Saydnaya prison near Damascus, where they behaved as if they were actual leaders, enjoying their jailers’ favour, while the Syrian Democrats were humiliated, beaten, tortured and put to death in the same prison, qualified by Amnesty International as a ‘human slaughterhouse’. The terrorists were then released from Saydnaya by Bashar al-Assad in 2011 so as to jihadize the Syrian revolt. The Americans’ second responsibility lay in Obama’s climb-down in the wake of the chemical weapons attack on the suburbs of Damascus in 2013. The United States had been a ‘passive spectator’ in this war, doing little more than reiterating the fact that the use of these prohibited weapons was a red line that the Assad regime must not cross. Despite the summer 2013 attack, however, Obama decided not to punish Damascus. A blank cheque for Assad. And one of the reasons why more moderate rebels fled into the extremists’ arms. Daesh was able to generate the USD 2 million that it needed for its daily operations by engaging in profitable trafficking activities – the trafficking of oil, antiquities and human beings. Girls from the Yezidi minority were sold for 10,000 euros or more, if they were virgins. There was also cotton production in the Syrian provinces of Deir Ez-Zor and Raqqa. In addition, taxes were imposed by Daesh on the people then living under its yoke. Everyone had to pay – ordinary citizens, small businesses, drivers transporting goods … Even Lafarge Group is suspected of having financed the Islamic State to be able to continue running one of its factories in Syria. 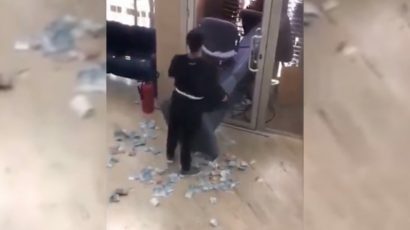 And we also shouldn’t forget the looting of banks in Daesh-controlled regions. What has been the role of the Gulf states in the civil war in Syria? They helped ‘Islamise’ the Syrian revolution. Military aid from the West to moderate rebels, mainly the Free Syrian Army, was insufficient. Sometimes, this Western aid even ended up, via Qatar, in the hands of extremist factions. In addition, countries such as Kuwait, Saudi Arabia and Qatar (individuals, NGOs and governments) provided support to FSA brigades and, taking advantage of the lack of aid from the West, Islamised them. That said, the most dangerous of these organisations, Daesh, did not simply rely on Gulf donations in order to function. These donations were marginal by comparison with the colossal sums that the Islamic State was able to garner. A number of uprisings failed while others succeeded. A particular theory often expounded, no doubt dear to the ‘conspiracy theorists’, is that the Arab Spring was in fact the realisation of Obama’s speech in 2009, which set out the American vision of democracy for the Arab world. This vision was also seen to be reaching out to Islamists such as the Muslim Brotherhood. The protest movements of the Arab Spring can be seen as a rejection of ‘hogra’ (meaning, a sense of contempt shown by the State with regard to its people). Inspired by the success of the Tunisian revolt, Arab peoples living under dictatorships or authoritarian regimes felt insulted that they were deemed incapable of rising up, albeit belatedly, to demand democracy. There was clearly a domino effect. Furthermore, to suggest that it was remote-controlled from abroad totally belied the actual facts on the ground. I covered this revolt and was jailed in Cairo on two occasions alongside the activists who initiated the protest. It was the April 6 Youth Movement which called on protesters to demonstrate in Cairo’s Tahrir Square on 25 January 2011, Egypt’s National Police Day. It was meant to be a simple demonstration, a dry-run prior to a more widespread demonstration which it intended to organise for the elections scheduled for late 2011. But success was achieved so quickly thanks to social media and Mubarak was deposed in just 17 days. And when Hillary Clinton went to Cairo after the fall of the Egyptian president, the April 6 Movement refused to see her, blaming the Americans for supporting Mubarak to the end. Egypt’s Muslim Brotherhood had watched this mobilisation with suspicion, even hostility. But it was achieved without them. But wasn’t it the Islamists who, in the first instance, benefited from the Arab Spring? In Egypt and Syria, it was the Muslim Brotherhood, in Tunisia, Ennahda, and even in Morocco with Al Adl Wal Ihssane and the PJD, etc. You ask the question the wrong way around. It doesn’t matter who benefited. What matters is whether these parties were democratically elected. And then, of course, we need to ask ourselves why these people voted for Islamists; and how to steer this Islamised electorate into excluding religion from politics once and for all. Admittedly, the peoples of the Arab region are all ‘Islamised’ but this does not explain the electoral victories, unless of course these movements were actively supported, encouraged and financed; because political power can never be attained without financial resources. But that’s not the problem. Parties have the right to finance their political action. What the public needs to know, however, is whether these financial arrangements were legal or not, internal or foreign. It is incumbent upon the judicial system, another pillar of the rule of law, to decide. Except, the people voted for the Islamists because they had been Islamised. Some voters did not care much about the name of the party or candidate they voted for as long as he was an Islamist. Lastly, the example of Egypt, the birthplace of the Muslim Brotherhood, that you mention, does not provide any evidence. Secrecy has never been an obstacle to political or military victory, quite the contrary! It is in hiding that the Khomeini Cassette Tape Revolution took place. It is in secrecy that Baghdadi prepared the conquest of his self-proclaimed caliphate. Sadly, the aftermath of the Arab Spring has provided little benefit to the peoples who started it. Libya no longer exists, Syria is destroyed, Iraq is torn between Sunnis, Shiites and Kurds and Egypt is back in the hands of the army. In what state is today’s Arab world? Do you not think that Spring has turned into Winter? What are the lessons you have learnt, as an expert? The Arab winter is an easy and deceptive allegory. Democratisation is a long process. We cannot judge history while we are still living in the present! Of course, chaos currently reigns. People’s situations have taken a backward step. But need we consider that the Arab Spring has been of no use? First, the most worrisome conclusion that I draw does not relate to the Arab world but to the powerful countries which have shown that the international community no longer exists. Instead, there are crisis managers who act on the basis of their own interests which often change and are sometimes poorly calculated. The Security Council is inoperative. Bloody-thirsty dictators still find backers in the West and chemical weapons are used without any reaction. The so-called ‘free’ world has thrown in the towel. The Arab world has certainly taken a backward step, underlining the high level of political immaturity in many cases. Four dictators have been toppled, however. Impunity is a thing of the past, in my opinion. It’s clearly not the optimal solution but it is already miraculous because there has been an enormous lead weight burdening Arab countries since the end of colonisation. Something had to give! We’ve taken a backward step? It’s not surprising! But does it justify maintaining dictatorships? Ask those Syrians who lost their parents, their children, their homes if they regret their revolution. Many continue to say that “it was needed”! And I would add that the more we delay the democratisation process in the Arab world, the more expensive it will be at the check-out till. Are there currently any democratic forces within the Arab world that are capable of instilling and realising this sense of hope, when the majority of elites have fled their countries and unable to lead a revolution from abroad? They will come back. General de Gaulle was abroad in London when the Nazis were in Paris. It doesn’t mean anything. Syrian Democrats are in exile because they risk death if they return home. And then, we have to start somewhere. Societies that have lived under dictatorship for decades, deprived of democratic norms, have done whatever they could. In Syria, for example, despite 40 years under the Assads, the opposition has managed, through the Syrian National Council, to produce a credible alternative, made up of researchers, sociologists, women, Christians … They have done everything to prove that they were genuine democrats, worthy of taking over; but they have been side-lined by extremism due to inadequate Western action. Finally, to conclude this very comprehensive interview, what do you think of Donald Trump’s Arab policy? The rules have gone out of the window, multilateralism has been blown to pieces with the American president preferring a bilateral approach. And the key components of his Arab policy are poorly understood. We feel that, in reality, it is very erratic. Donald Trump doesn’t have a Middle East policy. It’s non-politics! Before he took office, three pillars underpinned this policy – oil, Israel’s security and the fight against Islamic terrorism. These are America’s main concerns in respect of the Arab world. This still holds true under Trump, but with two new features. On the one hand, a heavy dose of political cynicism which at least has the benefit of frankness. Ignoring the heinous crime perpetrated against the Saudi journalist is one of the latest examples of it. European countries are getting on with it or are trying to make the necessary adjustments wherever they can, despite the general cacophony. As far as Arab States are concerned, they are completely off the radar and should ask themselves why, instead of systematically accusing the West for all their ills. On the other hand, Trump displays a worryingly high level of ignorance about the region and shows no inclination to be advised by competent experts. The American President would appear to function on an ad hoc basis, as though driven purely by impulse. When confronted by the intolerable images of the Syrian victims of Khan Shaykhun’s chemical attack, Trump was clearly overwhelmed and decided to hit back at Syria. A serious act, which he implemented over small-talk during a dinner with his Chinese counterpart, Xi Jinping. When interviewed by Fox News, he mentioned that he was “enjoying the most beautiful piece of chocolate cake” with his Chinese guest when he told him that he had just ordered the bombing of Syria. And during the interview, Trump even mistakenly confused the target country, confusing Iraq with Syria. And the Syrian adventure stopped there. Tomorrow, if someone convinced him that Assad was an infallible bulwark against Daesh, then he would likely visit him in Damascus! For him, the last one to speak is right. * Sofia Amara is an international reporter and producer of award-winning documentaries such as ‘The Lost children of the Caliphate’, which was awarded the AMADE Prize at the Monte-Carlo TV Festival, as well as the author of ‘Infiltrator into Syria’s hell on earth’ (Stock). NB: This interview was conducted a few days before President Donald Trump’s decision to withdraw US troops from Syria. Abu Bakr al-Baghdadi is something of an enigma. Is the most wanted man in the world still alive? Where is he? Who is he really? What does the Caliph of Terror want to bequeath? What will be his legacy, the infamous Daesh brand? He managed to create a Jihadistan, attracting fighters from all over the planet. He exported his model of terror to the heart of the free world. He is the perpetrator of a number of bloody terrorist attacks across our cities. But the ghost with the black turban, who has a $25 million ‘Wanted’ tag on his head, is nowhere to be found.